There are a few items on your car you should constantly check to make sure that they aren’t too low: oil, gas, coolant, and tire pressure are in the top three. If any of these are too low, your car will not be able to run and it could cause major damage to your vehicle and put your safety at risk. Tire pressure is important whether you are driving short or long distances, whether it be a quick drive home from work or a weekend road trip, if your tire pressure is too low, a tire could pop at anytime. That’s why it’s important to inflate your tires properly with the best element possible: nitrogen. Inflating your tires with nitrogen will not only make your tires more durable but it will increase the time between refills and replacement. Believe it or not, compressed air is actually bad for your tires. Its 78% nitrogen, 21% oxygen, and 1% everything else. Oxygen actually causes tires to deteriorate, whereas nitrogen is non-combustible and non-corrosive. Over time, oxygen will cause the tires structure to change and the tread to wear. Because nitrogen is an inert gas, it is impossible for oxidation to occur, which is what causes the deterioration in the first place. Why Is It Important to Have My Tires Properly Inflated? It is important that your tires are properly inflated not only for your safety but also for economical reasons. If you are driving with underinflated tires, it can cause you to use more gas than necessary while driving. It can also cause poor handling while driving and longer time when stopping suddenly. Of course, life happens, and tires can and will lose pressure for various reasons, whether filled with nitrogen or oxygen. Tires can lose pressure because of a puncture or hole, wear, or temperature changes. However, filling your tires with nitrogen does make it less likely that this will happen, especially the latter, which is why we recommend having your tires inspected monthly. The best part? 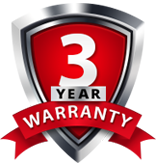 If you pick up a nail or puncture a tire, we offer a $200 tire warranty for up to one year, so you will be covered in case of an unfortunate event that is out of your control. If you have any questions, feel free to call us at D’Avicos Auto Repair or stop in and we can better explain the benefits of nitrogen filled tires to you. Contact us today to schedule a Nitrogen Tire Inflation appointment or make a reservation online. You can count on our repair shop for an honest and reliable diagnosis of problems and quality repair.